I would often find myself wandering the streets of Stockholm feeling incomprehensibly happy. This wouldn’t happen on the sunniest of days or when I had a particular reason to feel this way. In fact, it could be pouring down, my umbrella twisting under the gushes of wind and my shoes soaking wet, and nothing could take away that feeling of being utterly happy and at peace. I’m not talking about an ecstatic kind of happiness that comes and goes like waves but rather, a sustainable sense of contentment that carries from day to day, regardless of what happens in a given moment. You know that a place is made from a special kind of magic when you wake up happy just to be there. 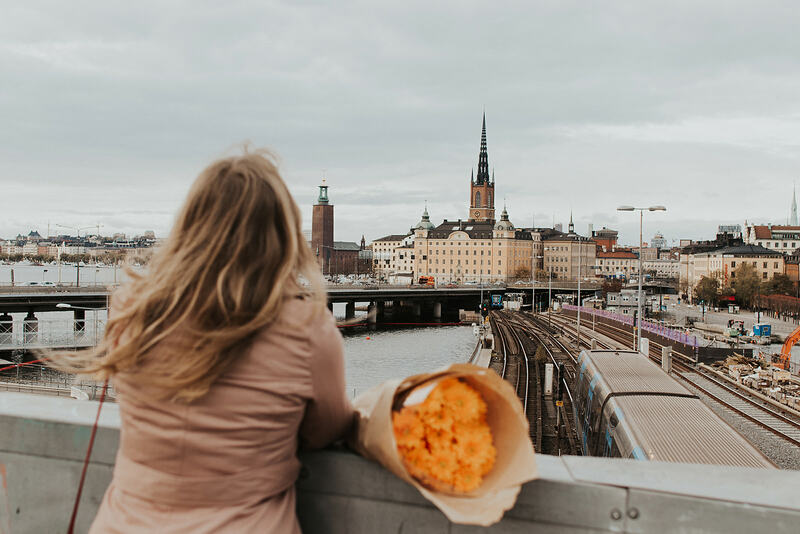 For me, Stockholm is my happy place but I wouldn’t find it if I hadn’t taken the time to understand that happiness can, in fact, be sustainable and cultivated one step at a time, as you go on about your day. But how do we achieve it? It’s not about being euphorically happy but about measured, sustainable sense of contentment that you feed yourself not by spoonfuls but by taking just what you need. This isn’t about limiting yourself – far from it, it’s about learning to be content with what’s in front of you and adding to it bit by bit, as your glass slowly becomes half full. I’ve been living in London for over 3 years, having moved here from Bali in a pursuit of love, like some kind of a B-grade heroine of Eat, Pray, Love played in reverse. In between getting over a painful breakup earlier this year (which, luckily, seems like light years away now), running around London from an event to an event and packing from one trip to another, I started losing a sense of who I was and where I wanted to be – emotionally, spiritually and, yes, physically. Coming to Stockholm over the summer and falling in love with it was quite possibly the best thing that happened to me this year. The simpler, slower pace gave me the time to enjoy the little things. The closeness to nature brought me closer to myself. The beauty of the city, which has a way of making every moment magical, made me realise what was missing. I desperately wanted to feel something. The smell of trees after an afternoon rain. Biting into a freshly baked kanelbulle first thing in the morning. Long walks along the river until the sun would set and I had to pull up my jacket to keep warm. It was rediscovering the simple life’s pleasures that gave me the most happiness. I attributed this feeling to being in Stockholm – a city I now absolutely adore. But I’ve then come to realise that this state isn’t location-dependent and can be cultivated day to day, wherever you are in the world. So, coming back to our question, how can we cultivate the art of sustainable happiness? The answer lies not too far from my favourite capital. 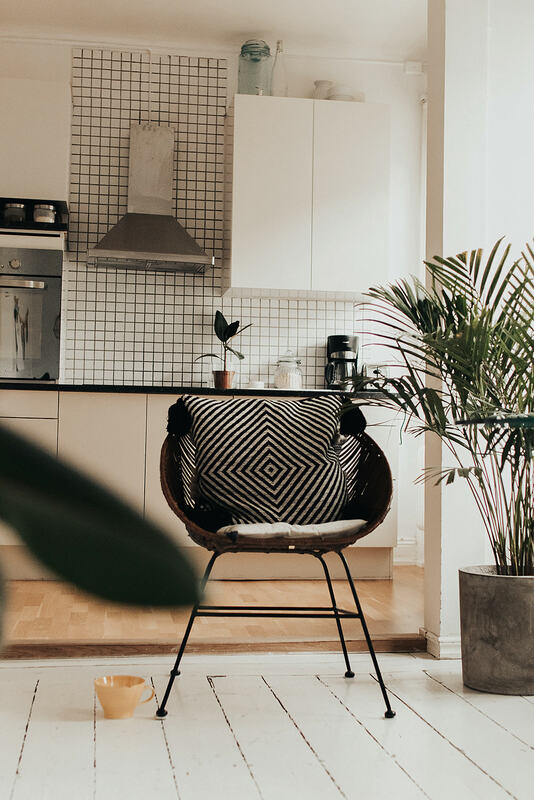 Swedes have this concept called lagom which basically means not too little, not too much – just right. 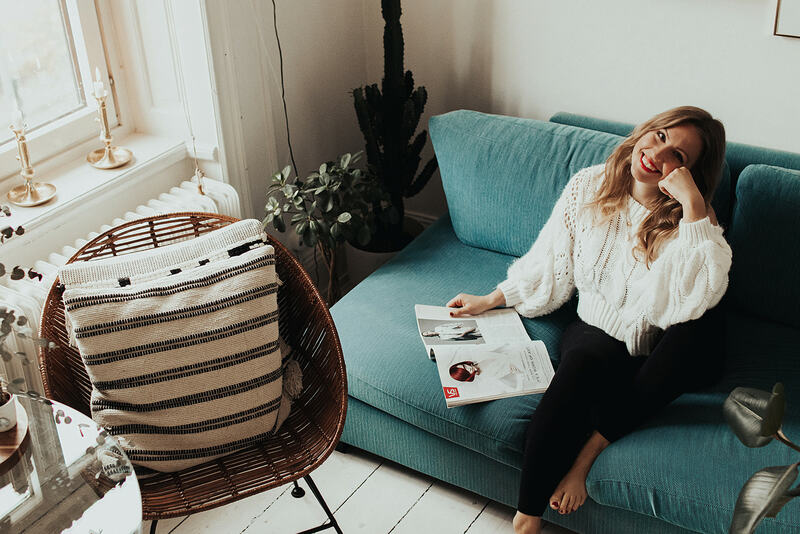 Lagom can be applied to pretty much anything, from how much sugar you put in your tea to the clothes you wear, but its foundation is based on cultivating a sense of contentment; an understanding that the key to sustainable happiness lies in moderation. Lagom puts a spotlight on the core Scandinavian values – modesty and confidence versus boastfulness; functionality and overall wholesomeness versus pretentiousness; the focus on communal over an individual, a nod towards the country’s socialistic values. 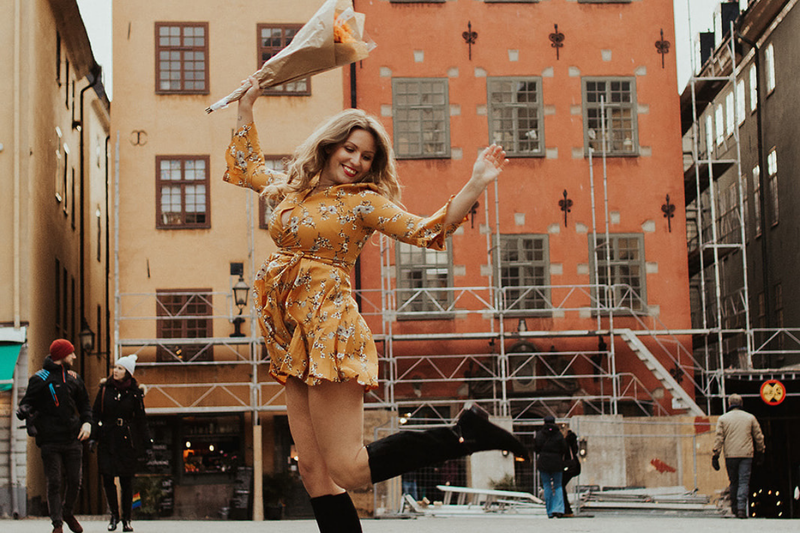 Don’t worry, you don’t have to book a one-way flight to Sweden and forsake your current life to experience happiness the lagom way. 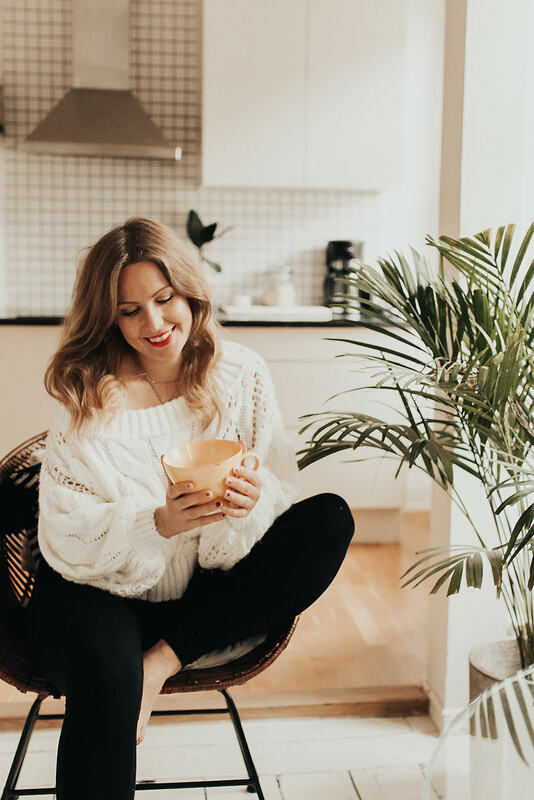 To me, the key to a great morning routine is keeping it simple (which in itself is very lagom!). You can of course adjust it to your lifestyle, daily routine etc but the core idea remains the same – indulge in the moment, but don’t overindulge – stroke the right balance to get your day going. – Put on your favourite music first thing after waking up. I love listening to Ninjoi – his music relaxes me and puts me in a good mood before I even get out of bed. – Open the windows to let the air and light in. Take a few seconds to breathe it in. Smile! – Burn your favourite essential oils or candles. Did you know that aromatherapy can boost your happiness levels and put you in a better mood? My favourite morning scent is orange and jasmine which is a great uplifting and balancing combo. – Treat yourself to your favourite breakfast (or a modified version of it if you’re short on time). This can mean adding a bit of chocolate to your smoothie, taking a couple of extra minutes to sit down and enjoy a cup of coffee (instead of gobbling it down as you’re running out the door) or – what I noticed a lot of people in Stockholm seem to do – leaving the house an hour early to meet a friend for a quick fika (or breakfast) before work. How lovely is that? – Notice the small things. My Stockholm apartment was on the top floor of one of those pastel-coloured buildings in Södermalm. 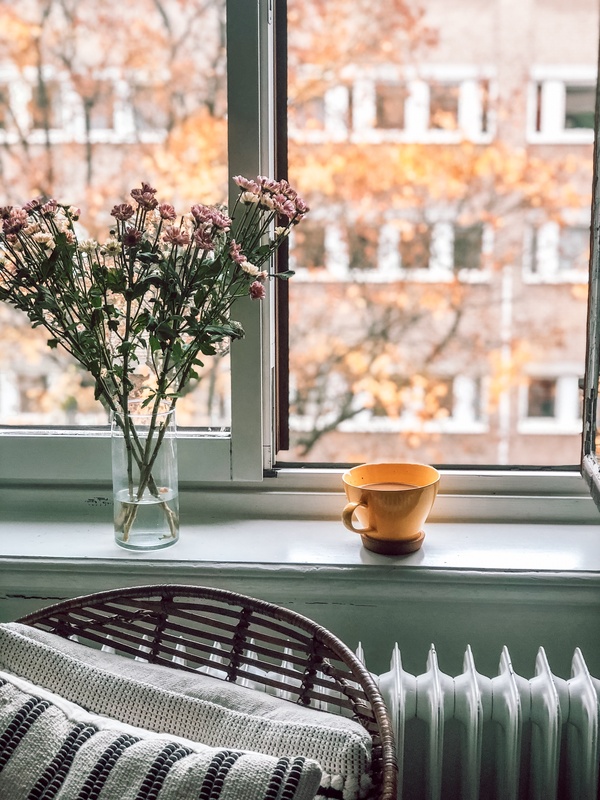 There was a large tree right in front of my living room and I would often sit by the window with my cup of coffee, essential oils burning and music playing, and watch the leaves change colour. It would make me so happy just to BE in that moment. Me, my coffee and the pretty tree. It may sound silly, but allowing yourself for be fully present and pay attention to the little things helps increase your overall happiness. Happiness is a sum total of small, everyday moments and if we fail to notice the beauty in everyday things, how will we ever fully appreciate a truly magnificent moment? Allowing yourself to just be and enjoy it is also a great form of meditation. 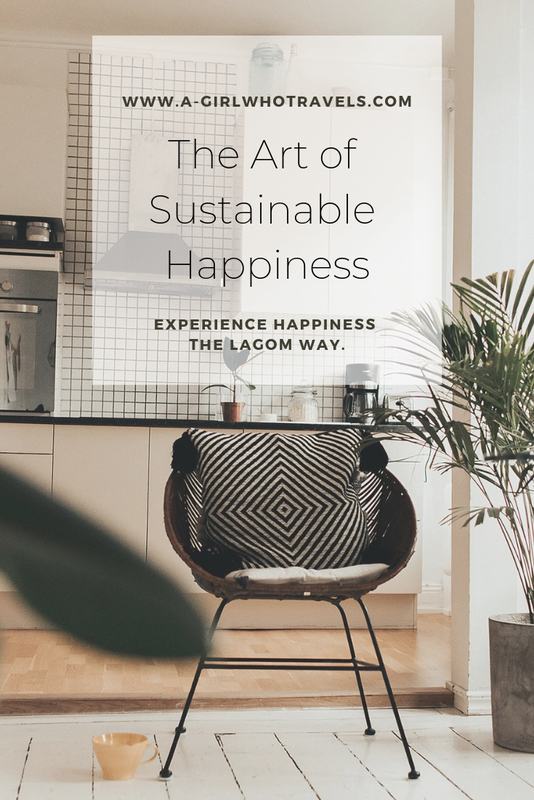 Remember – happiness the lagom way isn’t about being euphorically happy. Sure, those moments are to be cherished but it’s not how we’re going to feel every minute of every day. 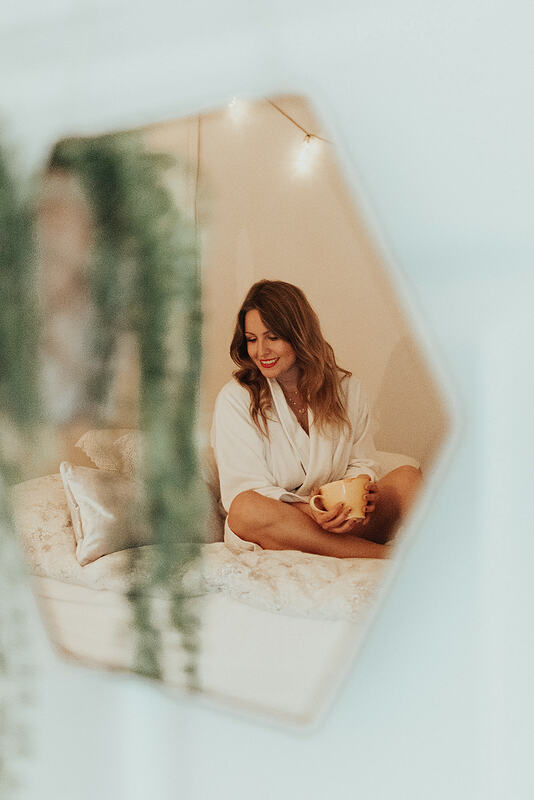 It’s about allowing ourselves to reach a sense of contentment – do more of what makes us happy, give ourselves the freedom to dream, cultivate friendships, spend an extra couple of minutes sipping that perfectly brewed cup of coffee. It’s about a wholesome approach to life. – Go on walks in nature and do it often. Swedes have a very close relationship to nature thanks to Allemansrätten (The Right of Public Access), a law which gives everyone the freedom to roam – be it kayacking, berry picking, camping or just walking around the local forest. Closeness to nature can do WONDERS to your soul – I experienced it first hand after escaping the perpetually busy London. Don’t worry, you don’t need to hike to a forest or rent a kayak- just take the time out of your day to stroll through a local park or eat your lunch under a tree. Breathe in the air around you and enjoy the moment. 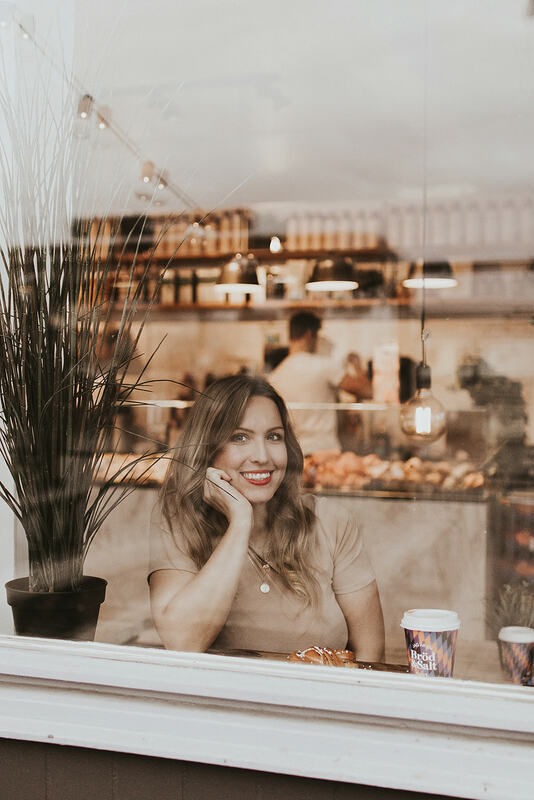 Have you heard of a Swedish concept called fika? While the direct translation means ‘coffee break’, it’s much more than that. 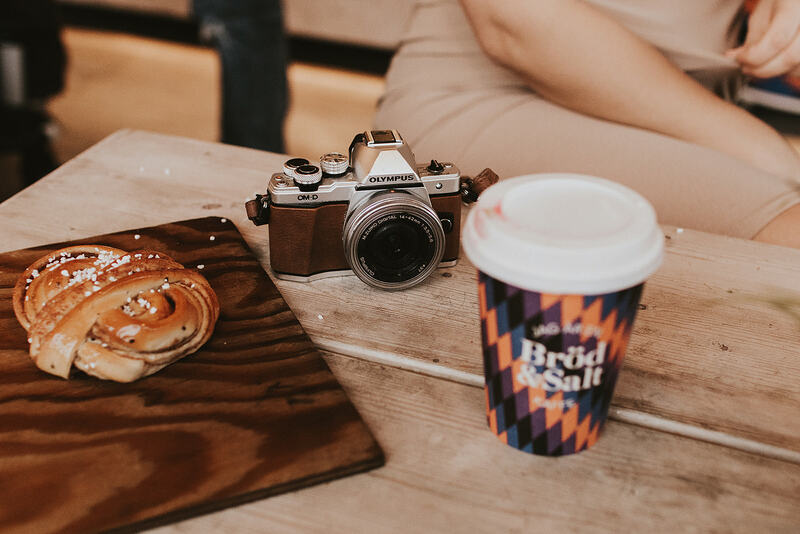 Fika is about taking the time out of your day to enjoy a cup of coffee (and something sweet to go with it) with your friends, colleagues or loved ones. It’s about cultivating a sense of human connection, not so much about what you drink. Even offices have their designated fika time when everyone gets together over a cup of steaming brew! 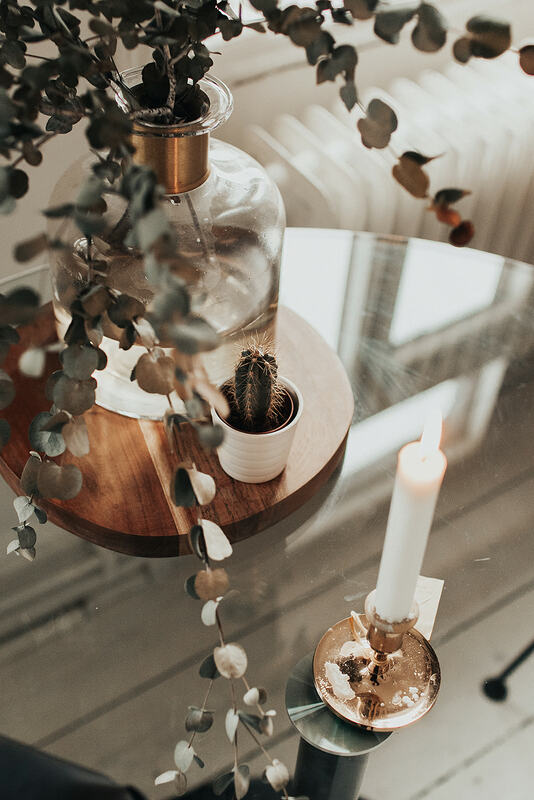 You can fika at home or at a cafe, but there’s nothing more lagom than inviting your friend over for a little afternoon catchup. Light up a few candles, take out your prettiest porcelain cups, get that coffee brewing and biscuits ready, and you’re good to go. When was the last time you actually did this? – Do more of what makes you happy. Find out what makes you happy and do it as often as possible. You don’t need hours to inject a bit of happiness into your day. Spending a couple of minutes doing something that makes your heart sing will make all the difference. This can mean waking up 15 min early to read your favourite book, carrying a camera or a journal in your handbag so you can put them to a use whenever you feel inspired, or finally booking that trip you’ve been thinking about for months. – Always have something to look forward to. 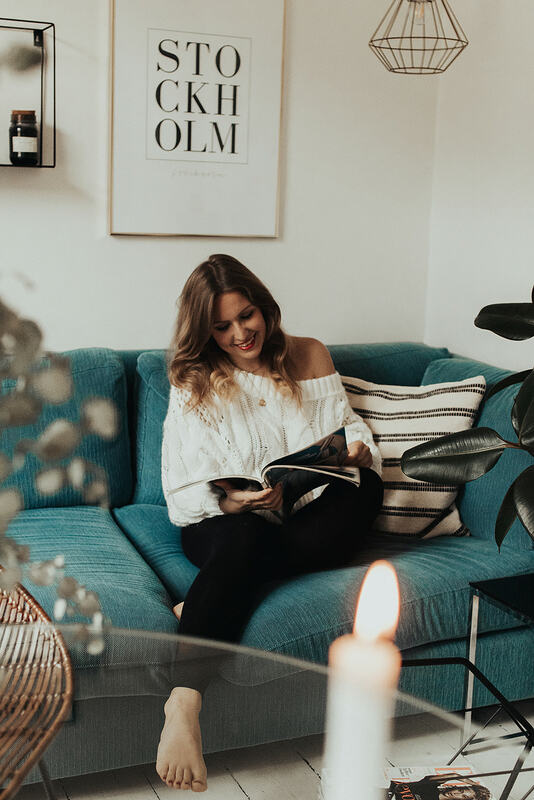 As Rita Mae Brown famously said, “Happiness is pretty simple: someone to love, something to do, something to look forward to.” Be it a trip, an afternoon with friends, or just a bit of ‘me’ time – always try to have something nice to look forward to at the end of each day. – Meditate (or take up a sport). Taking care of you body and mind will help you get more in tune with yourself and your emotions. Understanding your emotions will help you better manouver through life and lead to greater happiness. I’ve always adored Swedish minimalism and simplicity but haven’t realised how soothing it can be to the soul till I lived in Stockholm. Get rid of anything that you don’t need or use and that doesn’t bring you an immediate sense of joy. Decluttering your home will help declutter the mind. Is there something that makes you happy just by looking at it? Perhaps a piece of jewellery, a photo that takes you back to that day in the summer when you felt happy, careless and free; a family heirloom that brings you closer to home? Don’t hide it away – put it somewhere where you can see it every day. This way, you’ll have one more reason to smile. – Most importantly – don’t force it. There will be days when you’re feeling down and that’s ok. Sadness is an emotion just like any other so don’t be too hard on yourself for feeling a certain way. Happiness can’t be forced so allow yourself to feel upset, accept your emotions; let them crack you open so the light can come in. And then slowly, day by day, ever so gently, let them go. Do it as you’re sipping your morning coffee or while having a heart-to-heart with a friend. While jogging in the park or strolling along the river. It’s easy to forget that being happy is quite simple – we often see happiness is this magical state that can only be achieved through hard work. And with that, often comes the belief that true happiness won’t come till we have a perfect body, a perfect boyfriend, that job we’ve always wanted, or finally manage to get over a painful experience. The reality is, nothing is ever perfect and that’s exactly where the magic lies. You don’t have to wait to be happy – you can embrace happiness right here, right now, regardless of how you’re feeling. Feeding yourself a couple of spoonfuls of joy each day is the best prescription for a happy life. Just get yourself out there and learn to enjoy the everyday magic – it’s out there, I promise – we just forget to look for it. Are you ready to embrace the lagom approach to happiness? As always, let me know your thoughts in the comments! b e a u t i f u l p h o t o g r a p h y b y E l z a E l m a n e.